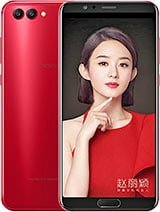 Huawei Honor V10 comes with 5.99 inches Full HD IPS 18:9 display. Honor V10 powered by 1.8 GHz Octa Core HiSilicon Kirin 970 CPU and it’s comes with 4/6 GB Ram. This device packs 64 GB / 128 GB internal memory that can be increased 256 GB via microSD card. This device has Dual 16 MP, f/1.8+ 20 MP rear camera, and 13 MP front camera. Honor V10 runs Android 8.0 and is powered by a 3750 mAh non-removable battery.